Tip the deer hunting odds in your favor with this ONE-OF-A-KIND PROGRAM! ► Find out if you’re truly serious about deer hunting—take the Everyday Hunter’s deer hunting “geek” test! ► Are record book bucks available in your area? If so, where are the “Booners”? 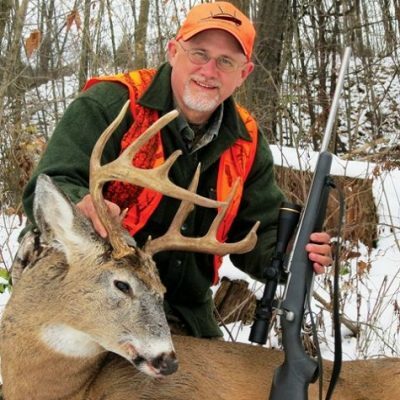 ► What’s a trophy buck, and does your state have what takes to grow them? How do age, nutrition, & genetics work? ► Is there a way to “take inventory” of bucks in your area? Here’s new information on how to take your own buck census. ► What’s the pay-off to your scouting? You can be confident that the buck you want is there. TICKETS AVAILABLE BEGINNING FEBRUARY 8th – $15 EACH. Contact the church office if interested – 610-369-1507.